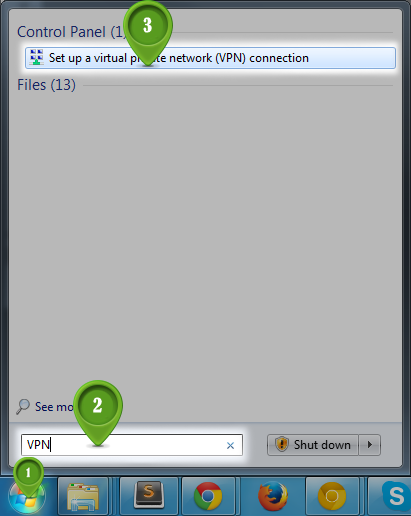 (2) type “VPN” into the search box. (4) In the text box labelled “Internet address” type VPN server host name: us-la.frootvpn.com or se-vpn.frootvpn.com In the text box labelled “Destination name” type “L2TP FrootVPN” or whatever you want. This is the name of the connection, and will show up in the “Connect to a network” screen when we’re done. 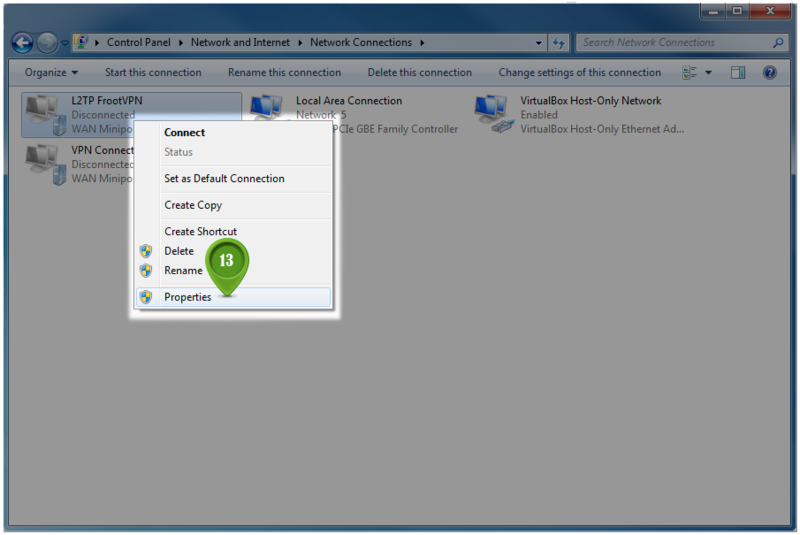 (5) Lastly, make sure that the checkbox labelled “Don’t connect now; just set it up so I can connect later” is checked. (6) Then click the “Next” button. 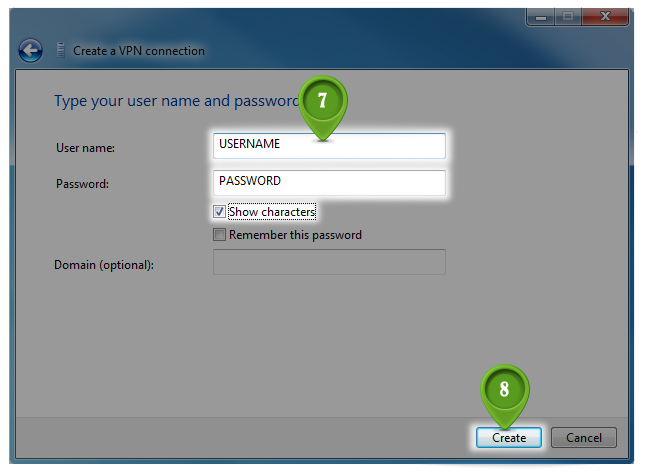 (7) In this screen, enter your VPN username and password. Optionally, check the “Remember this password” checkbox and you won’t have to enter your password when you connect to FrootVPN. (8) Then, click the “Create” button. (11) click on “Network and Sharing Center”. 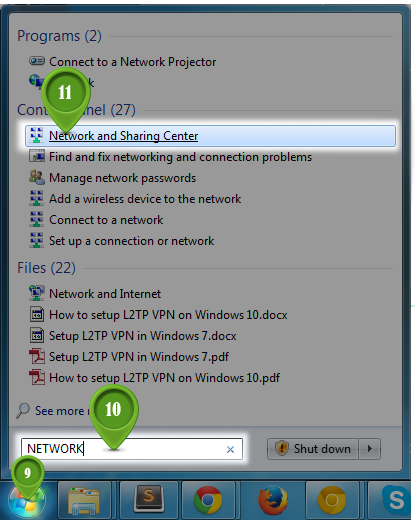 (12) When the Network and Sharing Center opens, click on “Change adapter settings”. (13) When you click on “Connect to a network”, a list of VPNs pops up. 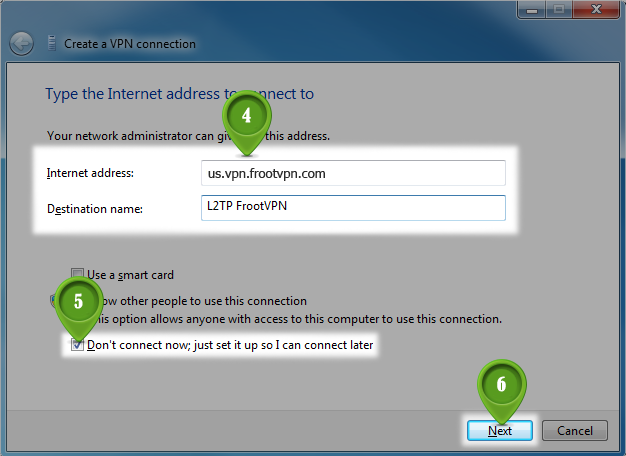 Right click on the “L2TP FrootVPN” connection (the VPN connection just created) and choose “Properties”. 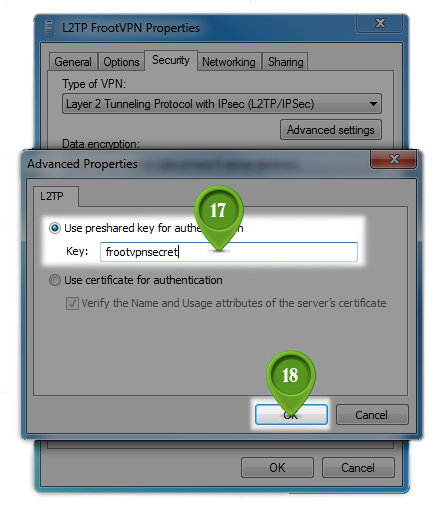 (15) Click on the “Type of VPN” pop up menu and select “L2TP/IPsec”. (16) Next, click on the “Advanced Settings” button. (17) In the “IPsec Settings” dialog, click the radio button labelled “Use preshared key for authentication”. Then type “frootvpnsecret” into the textbox labelled “Key”. Then click the “OK” button. 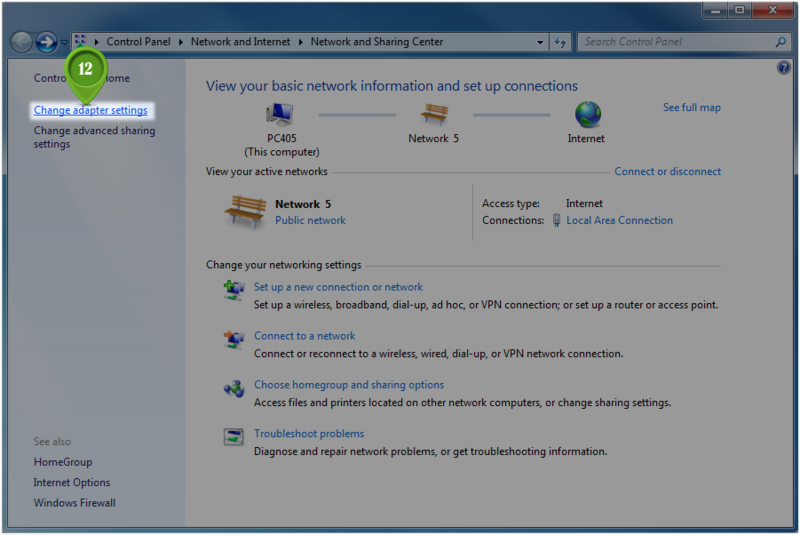 This screen shows you the network settings. You may have different items in your list. 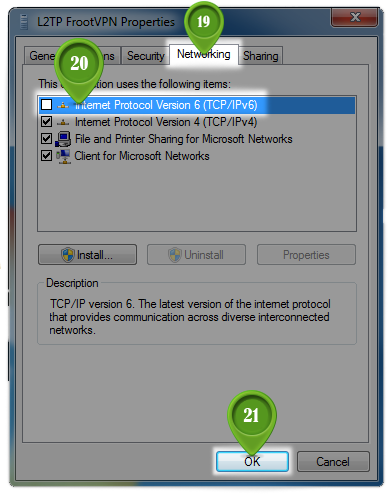 In the list of items that you see, make sure that only the “Internet Protocol Version 4(TCP/IPv4)” and “Client for Microsoft Networks” items are checked. 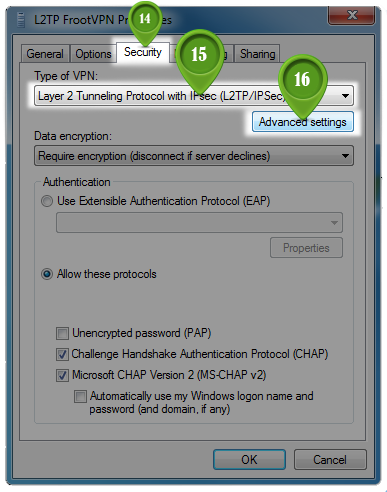 If other protocols are checked, uncheck them by clicking on the checkbox. L2TP currently does not route anything except TCP/IP version 4. You’re now done with your setup! You’ve set up your FrootVPN connection to use L2TP. Click “OK” to finish now, then connect to our VPN server by this connection.